Shifting your practice is an exciting time. It’s also a great time of ‘learning’ – not only for students but for the teacher trying to put it in place. I’ve been working to provide more feedback/more formative assessment in my classes. The idea in the shift for me was to really allow time to learn/reflect/grow before having students show their skills in a summative situation. I have tried all sorts of things to improve the feedback that I give from involving students in the ‘why’ of what we are doing, to pop-check in’s, oral consultations, writing workshops (and beyond). I’ve got rubrics with checklists, I’ve talked over and over about expectations and what it means to meet them. Wow – aren’t I just all that in making this shift? Wonderful. Until…it became clear that my shift to more formative assessment had failed to include one key piece…the student perspective/voice. My Yr4’s participated in a summative oral that involved a ‘taste test‘ activity. As part of the evaluation I ask them to write a ‘marketing report’ about what they learn. They are given guidance in what I want to see and allowed to bring in, in English, the results of what they learned in the test. 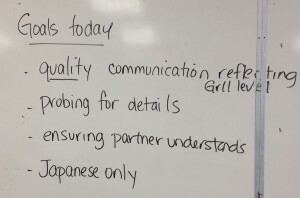 They were also allowed a ‘list’ of key structures – not in ‘how’ to do make them but a list in English of the kinds of things that we have learned how to say/use to aid in their writing. All of the new unit structures had been introduced and used in class. They had all been given feedback on how well they could use them. They had time for corrections and consultation about them. The day of the report they came, they wrote for 45-60 minutes solid. Wow. Until…I started to read them. Holy cow. 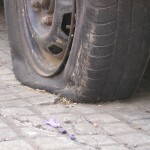 Errors all over the place – errors in what I considered basic structures that we had gone over. Errors in things that seemed so ‘easy’ to me. It was not an easy read. Not because I couldn’t figure out what they were trying to say, but because I was realizing that they were not comfortable in what they were trying to communicate. It was paper after paper of barely meeting my expectations. There comes a time – after the ‘what is wrong with these kids? why are they not doing what we did in class in this paper?’ when you realize it might not be “them”. Maybe, just maybe, it’s “me”. some direct ‘grammar’ structures work (gasp a worksheet for example) to make sure they felt good in knowing how to put things together. some time in class to ‘consult’ before a write to ask questions. a review video of key unit points (I have these for other classes) because they felt that this helped them personally to review. They also wanted to admit that they hadn’t also hadn’t done their job to a certain extent. That in making this shift from ‘everything is for marks’ to formative/summative they dropped the ball in their responsibility to prepare. And I realized then – that this shift I am making – requires time on my part for them. To help them learn to make the shift from passive learner to active controller of their learning. In the end we called the problem ‘a bit of you/a bit of us’. I will make the shift and include things for them that they feel they need. I will listen and ask more about how they are feeling in this learning journey. So often we worry about ‘our practice’. This was a valuable lesson in learning that changes in my practice also will bring changes in their ‘learning’ and that my ability to shift my practice quickly doesn’t mean they can shift their learning at the same pace…. A humbling time of growth for me…lesson learned. Asking if they need assistance. We all do it and for me this is especially true before interpersonal orals. We have them involved in an activity or practice to help set them up for the evaluation. We walk around, ask “any questions?”, respond to the few we get. But I am trying to provide more feedback and, specifically, more meaningful feedback this year. Feedback that encourages growth in their language. Today for the first time I stepped out to try to do that. In my Yr3 class we have explored the world of Anime and Manga. Their task will be to discuss their favourite characters with an unknown (until the oral) partner in a 5-6 minute conversation. We debriefed the rubric, we talked about what ‘meeting expectations’ would look like. They set out practicing/preparing for what they will have to do including specific circumlocution practice for the vocabulary they selected to use. And then…I added my new piece. One by one I called them out of the room for a quick personal one-on-one ‘consult’. I asked them if they had any questions. Any questions about the process? Anything they are worried they aren’t expressing correctly? Anything they might not be sure how to use if they wanted to include. The questions they had for me were wide-ranging from ‘What do I do if my partner…” to “I still don’t get how to do/use ….” and even to “So, if I don’t understand something they say I am allowed to tell them that? (yes!)”. Some students had nothing that was pressing. Others had several detailed things they wanted to know. The 60min it took to talk to each of my 30 students was, to me, invaluable. I saw and heard their specific needs, I could provide support and clarification. My goodness – I put my ‘words’ into practice and offered more actual formative feedback! This was a personal ‘big step’ and win for me. And a confirmation AGAIN that when we take the time to add formative feedback (in any shape/way we choose) it is time well spent in developing our learners…. I will make time for this in all of my classes…. 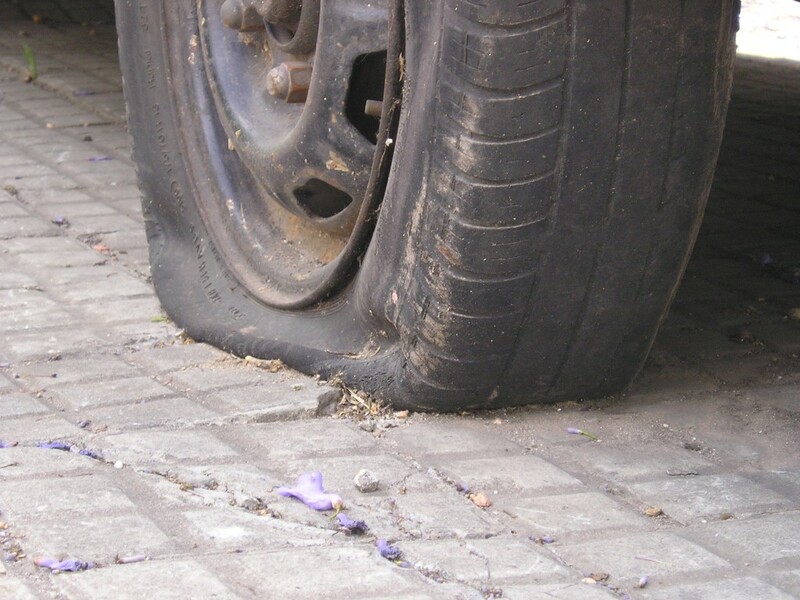 #forgetthefluff – Failing Then Learning To Get To What Is Key…. This is me…me at 3:45am up & worried and trying to figure out how to ‘fit it all in’ before the end of classes June 17th. This is me trying to do what I have always done – the same way….the same thing…This is me trying to fit in the final interactive IPA and prep for a department required oral final. This is me failing… You see I was trying to fit in the Yr4 Travel Fair and give them time to prep for the oral final. And it wasn’t working. I couldn’t get the ‘time to do the project that I always did’ and give them appropriate time for the department required final. And then it came to me…..#forget the fluff. Drill down to what is key… What is key in the travel fair? Is it the brochure they always wasted too much time making? The brochure they wouldn’t see any more in real life because they would see a webpage instead? What is/was that brochure really for? It is for them to consolidate the information for a really good interpersonal oral exchange on areas in Japan to visit. That’s what is key. So I threw it out. I created a trip sheet that just asked them to organize their information in the TL – not ‘create a product’. The information they would share, explain and even learn about. The 90 minutes they will spend talking/listening/learning from each other. The communicating information part is what is key. What about the ‘final’? You may find it an easy topic but the final is an interactive show and tell. It demands good listening, lots of follow up questions, thinking on your feet as you explain & answer. Typically I bring them in in 3’s and they have 15 minutes for this. But I have (see photo above) no time. And then it came to me. We have worked for 4 years to be students that are risk-takers, that know what to do when they don’t understand, that support/assist each other in communicating. I just need to hear that in action – I don’t have to ‘police’ it by being there. So forget that ‘fluff’ – they will go in teams of 4 to separate areas and record their conversations. They won’t feel the pressure of doing this in front of me – and I will trust/respect that they will go ‘all in’ to do this. Then they’ll get me the audio file. My being there? The fluff. The communication process. The key…. Next year – less fluff…..in everything….at every opportunity…less fluff and more of what is ‘key’…. And yes…I finished the puzzle too. Yr3 (Gr 11) prior to the school fair…. Why are we doing this? What’s the point of doing this? I’ve been thinking a lot lately about how we set our students up for success especially in interpersonal activities – the ones where they are interacting without someone ‘watching’. We hand out rubrics, we talk about what we want to see in the language piece, we (may) show examples, we practice and we give feedback. But when they set out on their interpersonal oral how do we keep them ‘focussed’ on the real goal of the time? (Hint – it’s not just to get something done). This year I have been experimenting with explicit intentions – reminders we review – prior to doing the activity. I used them for recent Yr 3 and Yr 4 interpersonal oral work You can see the intentions in the photos – intentions that reflect the purpose of the activity and directly tie to the evaluation rubric elements. I reminded students about these prior to starting and then set them on their interpersonal fair activity (For Yr3 it was the school fair and Yr4 story re-telling as part of their story unit). After this kind of work I like to ask reflection questions. I’ve learned to make the link to these intentions and ask at least one reflection question that relates directly to them such as “Today I met the challenge of ____by ____.” Their responses to this were powerful as they referenced something specific and how they worked to meet it. 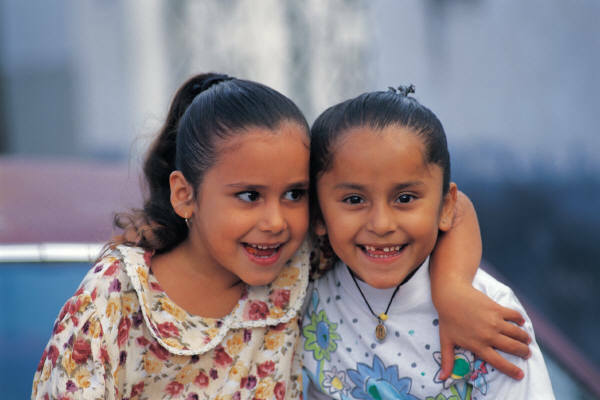 Responses like “Today I met the challenge of quality conversation by taking the time to really listen to my partner.” or “Today I met the challenge of ensuring my partner understood me by providing help when they indicated they didn’t understand.” I’ve always had goals/purpose – intentions – in the activities I plan. But now I’ve learned that its important to communicate this to my students. 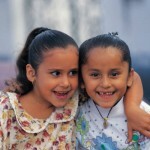 And in doing so I help increase their commitment to using and working in the target language. What ways do you help students to understand why they are doing something? I’ve been using descriptors instead of numbers for a while now. It’s going well but I have felt like there is a piece missing. 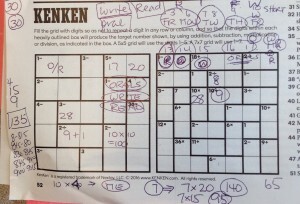 It wasn’t until I read Amy Lenord’s post about a writing ‘workshop’ (where would my teaching be without her!) for students. It was then that I realized that I have been good about describing how well students are meeting expectations but not doing enough to show them how to improve. A class like this – dedicated to showing/helping students increase their written output – was long overdue. I found the perfect opportunity to try this with my Yr4’s. We had been exploring a mini-health unit and had looked at ‘sick notes’ that I claimed to have received from various students in my Yr4 class from last year. You know the ‘I missed the last 3 days because I was playing soccer, hurt my leg etc etc’ kind of note. For a take-home I asked students to prepare a ‘basic’ note in the style of the ones they had been reading. Then we began the actual exercise. They each received a big (11×17) piece of paper (you could save the planet and have them write use their own) with one of the sick notes, line by line on it. I am not a ‘grammar’ formula teacher but for this they also received a ‘technical sheet’ as I called it – a sheet detailing in English (then TL structure & example in use) the ‘kinds of things that we have covered in Yr3 and 4’. I reviewed (just in English) the types of things they have in their writing tool-box. Many were surprised to see the extent of what we have covered as far as ‘technical grammar’ goes. I asked them to look at the opening line of the note “I have been away from school since last Wednesday” and I invited them to use the technical sheet to rewrite the first sentence with a ‘level up’ added. They they shared that new sentence with the 3 other people at their table. On to the other sentences we went in the same way. For at least one of the sentences I asked for 2 level-ups to be added. For another I asked them to take 2 shorter sentences and use level-ups to combine them. One student said “If we wrote every sentence this way every time it would be hard to read!”. He is correct, and we talked about judicious use of them in writing. At the end of the exercise they read their complete ‘new’ note to their partner. Then, borrowing from my ‘oral worksheet‘ focus, they had 15 minutes to visit with other students to read (not show) their note with them. Their work for that night was to re-write their basic note using the same idea that I had modelled in class. After we were done – many smiles and nods as they considered their edits of the note. Students said that they found this a very effective exercise. My first glance at their notes indicates that many looked to inject level-ups into their writing. I will do this again and more often with all my levels. How do you help students ‘level-up’? I am constantly trying to push my students – and to see them push themselves – to work to incorporate our ‘new learning’ into their conversations. No matter how comprehensible your input is, no matter how perfectly your task may sync up with the input, no matter how supported your output goals are there is still an issue for many students: How do you get them to remember to, to want to, to try to use the ‘new stuff’ in their oral interactions? Although we may like to think that our teaching ‘style’ and choices will naturally lead to new output sometimes it doesn’t. So I needed a way to encourage kids to see/find a way to make their learning part of their speaking. In prepping for an oral evaluation I stumbled on what I call “Say and Pay”. The concept is easy enough to put into use. First our class brainstormed the types of things that we might want to see used in our oral task – what ‘old and new’ items fit with what we are doing. 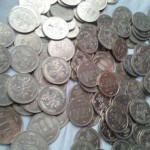 Then I took my bag of 100yen coins (tokens or pieces of paper would work as well) and gave each pair 12 or so. Prior to our first conversation round I looked at our class-generated list and picked off 4 items that I wanted them to try to work into their conversation. They each took 4 coins and I told them that when they chose to use that specific item – they were to put their coin on the table. And then they started talking. At the end of the round (3-4 minutes) I asked the class “Who has used at least 1/2 their coins?”. Everyone put their hand up – and that’s as far as I went in seeking a public response. Then it was off to the next partner – this time with 5 items on our list. And so on. Although we kept rotating partners, I didn’t go beyond a total of 6 items – instead changing up the ‘what’ we were looking for instead of ‘how many’. It was easy to see – as I circulated – who was not using their coins – and an opportunity for me to provide some specific encouragement/support. It’s targeted – yes. It’s specific – yes. And for many of my students it helped them to try to work the ‘new stuff’ in. I’ll use it again. There’s a lot of talk about review. Do you review specifics? Do you review ‘everything you did the year before’ you start the new one? I have shifted lately from an overall review to activities at the start that remind students ‘how’ we operate in class. If you teach on a semester system you can encounter students who have not had the language for a year (!) and something must be done. Although this review style features something specific to Japanese – I think that the ‘culture’ or ‘real authentic use’ component could be adaptable to any language. And then it came to me. A ‘mini-unit’ that I sometimes did in Year 3 but now, with more expanded time on other units, have not been able to do recently. A cultural exploration of a literary genre that, because it emphasizes/relies on brevity necessitates the use of this plain form. Yes – the Haiku. The traditional 5-7-5 poem already familiar (in English) to my students. So this year my Yr4’s will begin their course with an exploration of the Haiku. 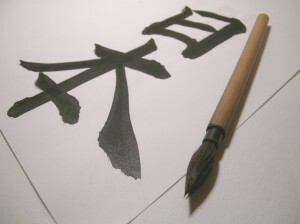 They will look (in English) at the history, requirements, styles of haiku. They will read/analyze in both English and Japanese. They will, as great haiku masters have done, select a pen name to sign their haiku with (and have to explain in Japanese why they chose what they did). And they will write haiku using the required elements and forms. They will share their haiku with the class via a ‘poetry book’ we will put together. And finally they will take up the brushes and experience, many for the first time, writing their haiku using traditional brushes/ink/calligraphy paper. I am looking forward to this – to the ‘review’ that this exploration provides. 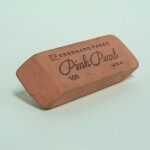 It spurs me on to think of other opportunities that I may have to ‘place’ a required review into an authentic context. 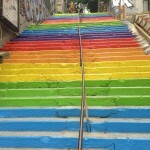 What natural forms of expression in your Target Language might allow you to do the same? A tie…yes..between two very different activities. One is focussed on oral communication – and actually practicing/teaching students how to communicate. The other was my first attempt at a station day that solely focused on an aspect of Japanese culture (but adaptable to any TL). Enjoy! We work hard in my class on developing an ease at conversing. It isn’t natural for many people, including me I’ll admit, so why would we expect it to be so for our students? This semester I have a new crop of Grade 10’s, 30 students who are in my class for the first time. When I asked what it is they want to many of them wrote ‘have a regular conversation in Japanese.” My job is to have them meet that challenge. I’ve written before about extending conversation skills using ‘follow-up questions’ and this group needed a way to jump-start their ability in this area. So I invented the ‘Follow Up Question’ game….my fancy title for essentially practicing conversations! Finally – No cards are provided at all (the questions are on a sheet the student knows how to access). Instead of the student providing the initial phrase students may start the class with a question on the screen (from me) like “Ask your partner what they are doing after school? Where? When? Why…etc!” And they are off – with great questions that allow them to dig for details. As the semester progresses we find new questions to add to our ‘follow-up’ list. Taking the time to help them develop their questioning skills pays off when the room is alive with conversation. My job at that point is to get out the way and let them talk! 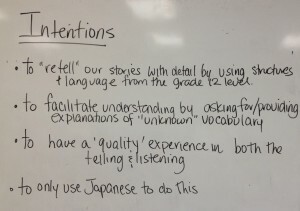 This post seems at first just to be for Japanese teachers – but I believe that the ideas – not the content – make it useful for anyone contemplating adding more ‘station’ work in their classes. I have written before about my quest to put more into my units. This was my first “not at the end of a unit – review & extra items” station experience. No this was all about a visual/audio/reading work focused on one topic: Sumo wrestling. Students would be exposed to both authentic resources, adapted resources and TL/English videos. Each station – has a table number and resources for the station. The viewing stations used my 3 class computers and my laptop. They all had a headphone splitter and extra headphones (dollar store) if students didn’t have their own. The reading stations had extra copies of the vocabulary needed for the readings. Each student – received a readings package, a handout booklet – with the activity/instructions for each station. Students moved sequentially from table to table with their current table partners. Video Stations – Each station involved viewing with questions before or after in the English or the TL. One station called on them to answers questions to test their prior knowledge of Sumo (in English) and then watch a short history video to see how correct they were. Another showed an actual match with Japanese commentary – students viewed the match and answered questions in English about various information that appeared, in print, on the screen (the wrestlers, their rank etc). Another station showed a short National Geographic piece about the daily life of wrestlers and asked them to reflect on what they found most interesting. Audio Station – an “interview with a sumo wrestler” taken from an older textbook resource I no longer use. It’s a nice piece with TL and cultural content so I continue to use it. Students listen/read along and answer questions in the TL. Reading Stations – I had 4 TL-related reading stations all together. 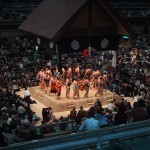 Two stations were short readings in the TL about Sumo’s history, rules, requirements to be a wrestler and daily life. 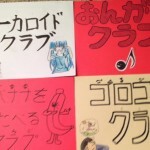 These are ‘adapted’ pieces taken from graded readers designed for those learning Japanese. They are accessible, written by Japanese and in my books ‘authentic’. 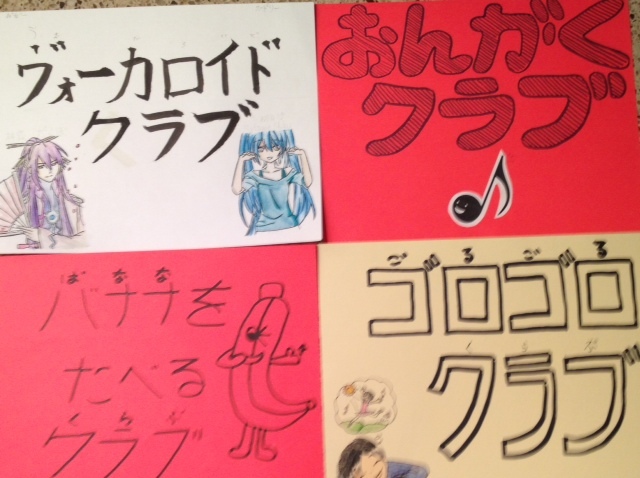 Students completed reading comprehension Q’s in Japanese. The third station was a ‘catch up’ station for any readings that they had started by not completed. A fourth station was another TL reading that had them looking at a sumo-related recipe for the high calorie/high protein stew – Chankonabe; finding the ingredients that goes into this famous dish. Then they watched a short video on the making of the dish. Using the Information Gathered – Students have two activities designed to tap into what they learned during their station work. One is an oral discussion day – a conversation circle activity based upon questions that they answered at the reading stations. The second is an infographic produced in the TL by the partners. They can only use the information gathered during the sumo day and any ‘new vocabulary’ they encountered there is okay as well. 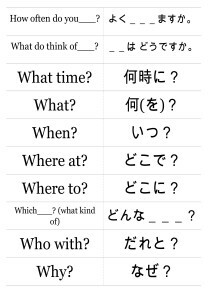 The assignment is mostly in Japanese but the rubric gives a good idea of what I am looking for. They will have time on ‘graphic’ day to read/view the infographics. I just included an updated post on the activities in my latest post. This was my first move to use stations to really explore/introduce a topic. It will undergo ‘refining’ in the future I am sure but I am pleased to have made my first foray into this ‘cultural’ target language learning activity. It was a major move last year – eliminating the grammar ‘words’ from my teaching. This year my students, who were the first classes under this new approach, are also using words in class like “describing word” or “~ly word” when referring to using the language…This post seemed to resound with a lot of others too. I actually heard a world language teacher say this last year “If he doesn’t know the parts of speech he can’t pass my class”. And I was stunned…really…if you don’t know what an “adverb” is you can’t communicate? Now I know that there are lots of views out there. There are those who subscribe to all kinds of theories and techniques to teach. First up – I still care about grammar. I care that my students construct their communication (written/oral) correctly so that they are understandable to anyone they might interact with. I used to ‘teach grammar’ and now I teach with ‘pop-up’ and ‘less explicit’ embedded grammar. As this change has set in so has my view on how I even ‘talk’ about it when I do talk ‘grammar’. So, what I don’t want to do – what I experimented with this year- is any teaching with/using ‘grammar’ words. And besides – I have kids who can tell me a part of speech – and talk the ‘grammar talk’ but in reality not use it correctly at all. You know – the student who tells me that ‘hamburger’ is the object of the verb but when I ask what an ‘object’ is they can’t tell me – or use it correctly when they speak/write. How did it go? Well – I can say that it don’t go any worse than when I was using the ‘grammar’ words themselves. Perhaps it was just a ‘moral victory’ on my part. But I like this trend. I like the focus away from the ‘parts’ of the language and on to the idea of communicating. I’ll continue to tweak this …but I think I’m sticking with it!